The Cold War never ceases to amaze those with interest in covert warfare and aviation in general, as the number of experimental innovations in the field of aviation that took place during the period is so eerily futuristic that it can baffle one’s mind. It did what it said on the label and was technically a wing-in-ground-effect plane developed in the 1970s by the engineers working for the former Soviet Union. The resulting aircraft had the capabilities to not only fly at high speed over very long distances, but it could also take off from the water. The aircraft could efficiently fly above the sea surface by utilizing its ground aerodynamic effect. The VVA-14 was the brainchild of an Italian-born innovator and designer Robert Bartini, who came up with the idea to counter the perceived threat of United States’ Polaris missile submarines. 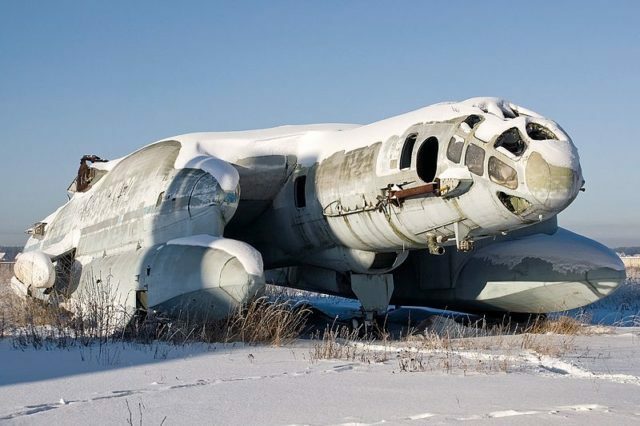 Bartini was working in collaboration with Beriev Design Bureau and had intended to complete the prototype of the aircraft in three distinct phases. In the initial phase, the VVA-14M1 was more of a testbed for analyzing the aerodynamic technology with rigid pontoons to start with which were later replaced with inflatable pontoons fitted at the ends of the central wing section. The subsequent phase introduced the VVA-14M2 with much more advanced features and the capability to blast through two engines into the cavity under the wings to provide the stronger lift, essentially giving the craft the VTOL capability with the help of battery that lifted the engines. Whereas in the last stage the VVA-14M3 was designed with fully functional and tested VTOL capabilities and equipped with anti-submarine warfare (Armament with Burevestnik computerized ASW system), magnetic anomaly detector called Bor-1 MAD and a host of other modern operational equipment. 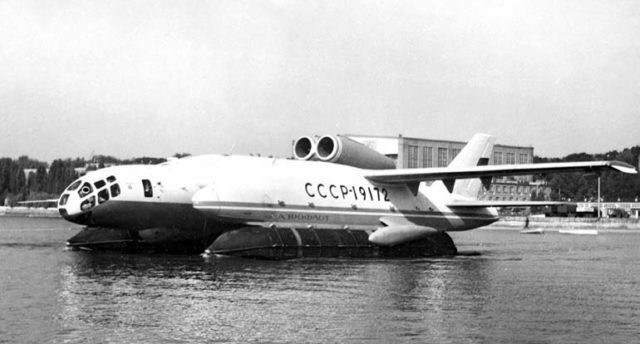 The Bartini Beriev VVA-14 (vertical take-off amphibious aircraft) was developed in the Soviet Union during the 1970s Photo Credit. After extensive research on the initial testing and installations on the ground effect aircraft, the very first prototype of VVA-14 was introduced in 1972. The prototype was made to fly from a conventional airstrip on September 4, 1972. In the subsequent years, a number of new installments took place in order to make the craft more efficient and up to date with the modern technology of the time. In 1974, engineers managed to install the inflatable pontoons promised in the first stage, however, during the testing a number of anomalies started emerging. Later on, the water taxi and floatation tests followed, and on June 11, 1975, after extensive research, the final test flight started to examine the collaboration of all the systems installed. After the test flight succeeded as expected, the VVA-14 was installed with rigid pontoons instead of floatable ones and the length of the fuselage was also increased along with the additional engines. However, after the sudden death of Bartini in 1974, the project lost the driving force and eventually drew to a shut down; by that time, the VVA-14 had already conducted a total of 107 test flights accumulating a total time of 103 hours in flight. In 1987, the only remaining VVA-14 serial number 19172 was finally retired to the Russian Federation Central Air Force Museum in Monino.